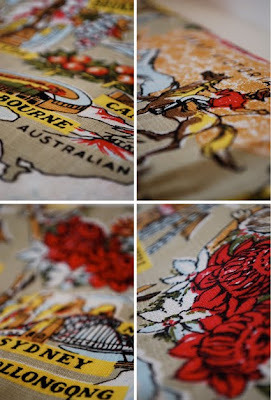 I love it so much and it's too fab to use for its intended purpose, so I'm going to have it framed, because it really is a work of art isn't it? 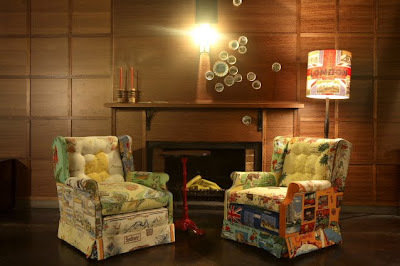 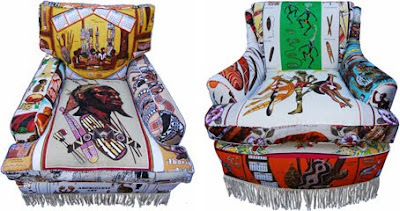 This reminded me of Suzie Stanford's wonderful use of vintage Australiana tea towels for upholstering chairs. 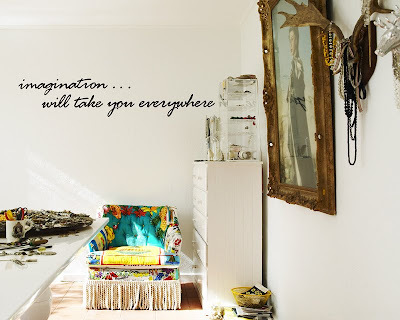 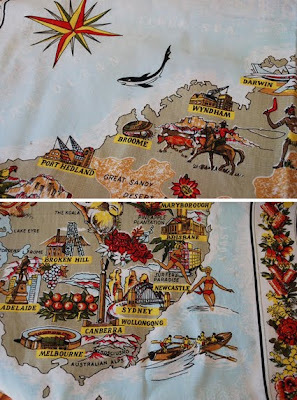 I love the idea of giving these colourful examples of kitsch Australiana a new life. 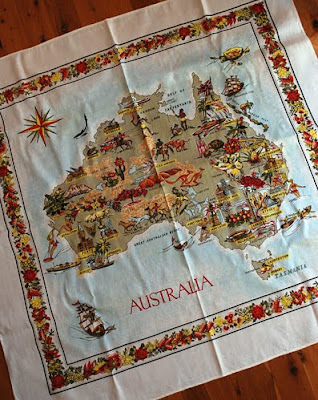 I have childhood memories of my Nanna and Mum using tea towels like this that were the gift of choice from friends who travelled.